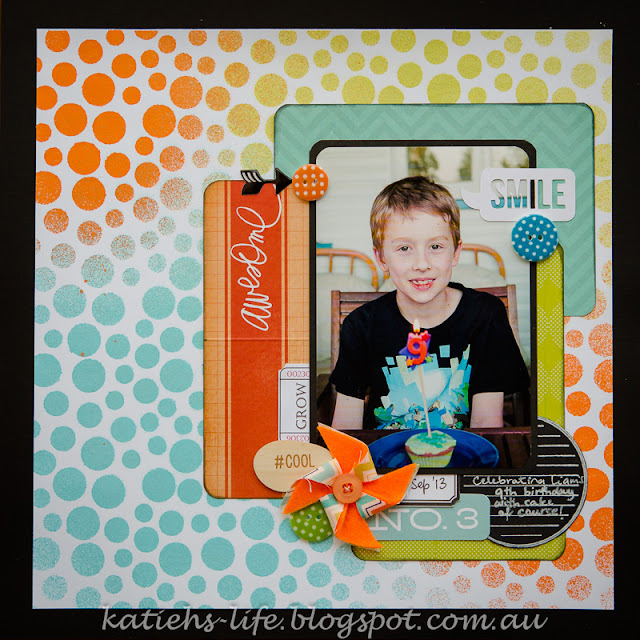 Just a quick post today, sharing one of my challenges for the September cyber crop for D'lish Scraps. Not sure if I will get any more done as I have a few bits of "secret squirrel" stuff to do! So, I decided to go with the colour challenge set by Wendy because I just loved the colour combo! Had some fun adding some little bits and pieces from D'lish (of course!) and managed to use one of my new Rainbow Splendour goodies ( the pinwheel), which just happened to be in the right colours!